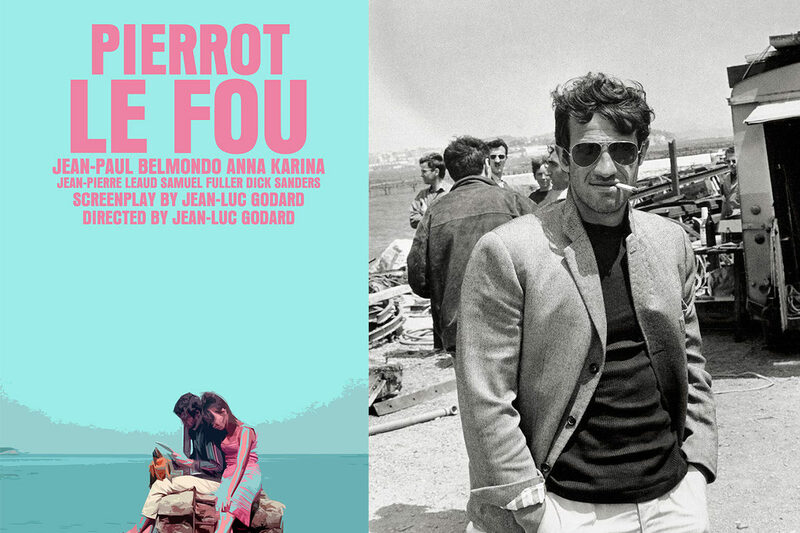 One of Jean-Luc Godard’s most-beloved films, Belmondo’s unhappily married Media Man suffers an existential crisis brought on by his propensity for reading too much philosophy (a uniquely French affliction if there ever was one). 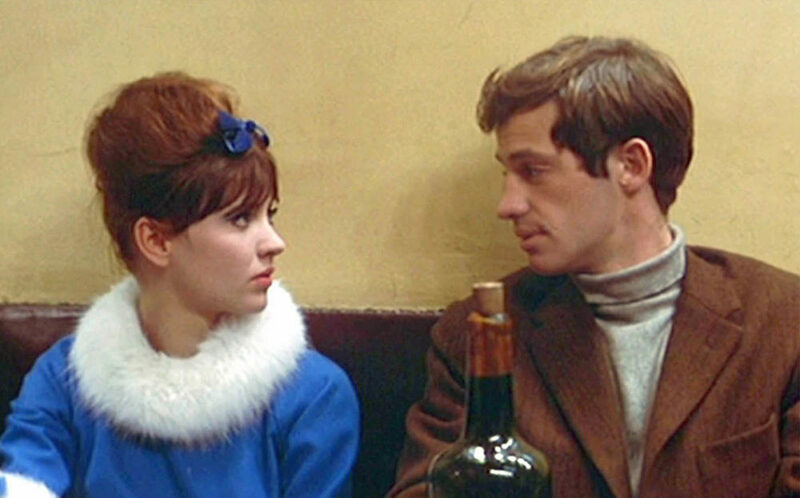 In a move of romantic impulse, he rekindles an affair with the babysitter, Marianne (Anna Karina, who christens him ‘Pierrot’, meaning ‘sad clown’). But once he discovers a corpse in her apartment, the lovers embark on a pastel-coloured crime spree to the south of France, living an indulgent Boho lifestyle while hiding from Parisian crooks. The plot might sound like Sartre’s lost revision of the Bonnie and Clyde story, but this film is so much more. It is a genre-bending satire; equal parts funny and head-scratching – peppered with musical numbers and violence. 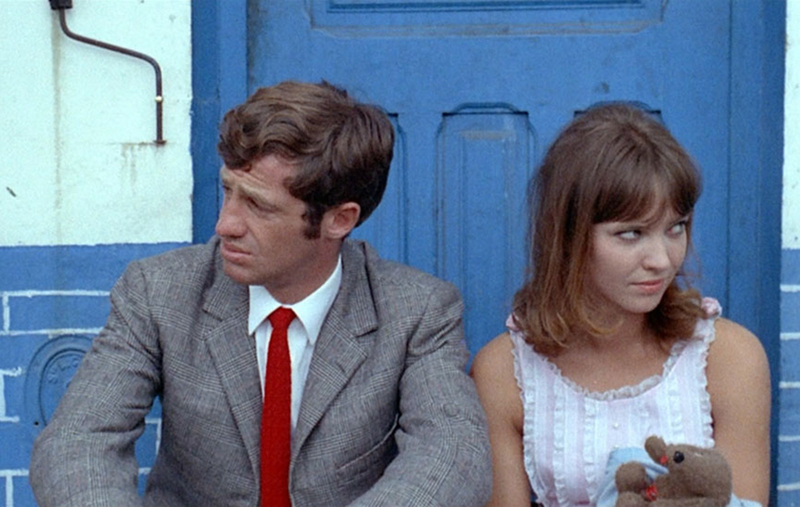 Pierrot Le Fou is best remembered for its use of colour. Inspired by Pop Art (used ironically, as Ferdinand wishes to escape ‘popular culture’ – perhaps there is no escape? ), Godard saturates his frames with washed-out primary colours that leap provocatively off-screen; like a Mondrian canvas soaked in rays of sunlight and salt water. The film is gorgeous to look at. And while we’re accustomed to thinking of the French in darker tones, Belmondo’s flamboyant - and slightly allegorical – wardrobe ought to be remembered as the definitive French Riviera look (there are countless articles on Marianne’s outfits). Sure, it doesn’t appear as timeless as Cary Grant’s tailoring in ‘To Catch a Thief’, but there’s something unique going on here; a marriage between colour, temperament and setting. Take Ferdinand’s grey check suit, for example. Before leaving Paris, it is used to symbolise his uniformity. But the masterstroke here is Godard’s choice of pairing a bright red knitted tie; an accessory so energising that it predicts a long Provençal summer. Sure, Belmondo’s broken-nosed charisma is hard to emulate, but the foundation is there nonetheless; and it ought to help carry muted tailoring this winter. Ferdinand’s intense desire to express himself, to write and share ideas, manifests in the continuous change of wardrobe as the film moves south. At his most driven, he is shown wearing blood-red shirts. At his most creative, sat scribbling notes by the Mediterranean, he opts for an off-duty striped shirt with distressed white trousers and chestnut loafers. When he is happy, and possibly in love, he takes a cue from the sea itself by wearing light blue tailoring (like this pair of high-waisted trousers by Anderson and Sheppard). It’s this sartorial blend of setting, bright colours and his temperament that resolve Ferdinand’s anxieties about his identity. Like so many of us, he just wants to express himself; and as long as we can get away every so often (preferably somewhere warm), set adrift from routine and the endless mass of online information – we’ll discover more about ourselves, and subsequently how we want to dress. 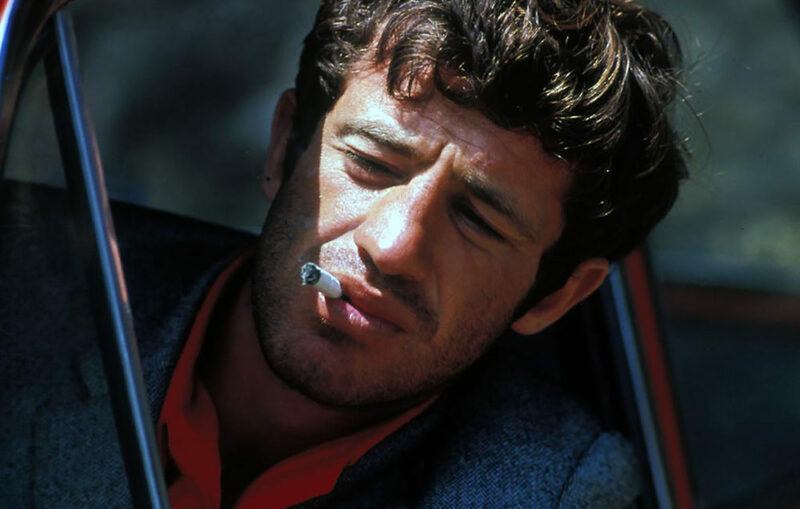 Belmondo’s wardrobe in Pierrot le Fou is a masterclass in applying suggestive, bright colours. It won’t only turn heads this winter but carry you into your Spring or Summer holidays. It’s a close call but Ferdinand Griffon - or Pierrot – might be cinema’s definitive French Riviera look.